Spike Lee’s Oldboy Remake Pushed a Mont.. 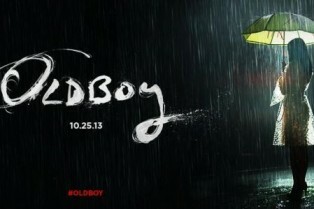 The Red Band Trailer for Oldboy is Here! In anticipation of a trailer debut this Wednesday, we’ve got your first look at the poster for Oldboy, coming to theaters on October 25. The poster is a shot from the film and is a nod to the forthcoming Red Band trailer. Head inside for a larger look. Neil Kellerhouse designed the poster and the title treatment is Josh Brolin’s real handwriting, as inspired by the handwritten letters his character writes to his daughter in the film. 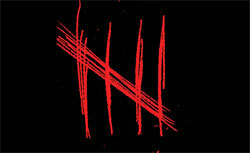 A teaser poster for Oldboy was revealed at CinemaCon in Las Vegas and we have a hi-res look for you. The film is described as “a provocative, visceral thriller that follows the story of an advertising executive (Josh Brolin) who is abruptly kidnapped and held hostage for 20 years in solitary confinement. When he is inexplicably released, he embarks on an obsessive mission to discover who orchestrated his bizarre and torturous punishment only to find he is still trapped in a web of conspiracy and torment.” Of course, you also know this as the American take on Park Chan-wook’s film of the same name. Co-starring Elizabeth Olsen and Sharlto Copley, Oldboy was directed by Spike Lee, from a script by Mark Protosevich. The film was produced by Roy Lee, Doug Davison and Nathan Kahane.